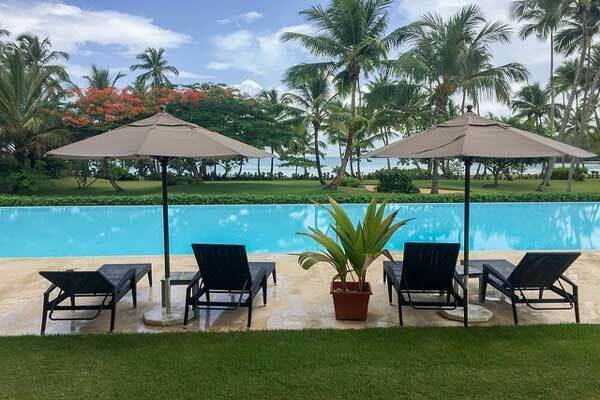 Situated on the Samana Peninsula, on the Dominican Republic’s north coast, the thriving town of Las Terrenas offers a laidback beach lifestyle, a dining scene ranging from casual to upscale, modern services, warm weather year-round, European sophistication, and a lower cost of living. Think white and golden-sand beaches, palm trees lining the expansive bay, clear turquoise water. A tropical escape, with plenty of beach bars and restaurants right on the sand so you feel the breeze and enjoy the views. When you can find beachfront condos starting at under $100,000, you have a perfect place to settle down if you’re looking for a low-cost Caribbean escape. 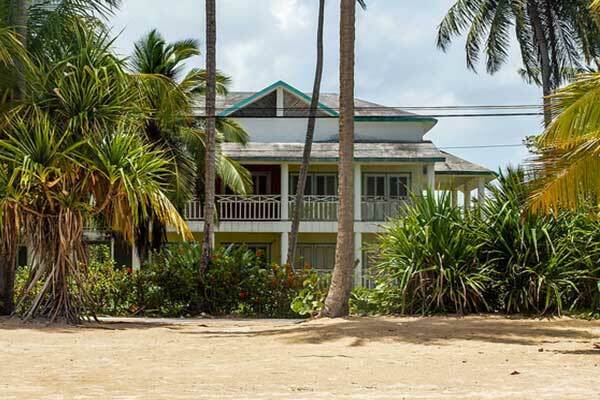 The history of Las Terrenas as an expat destination is what gives it its European flair. The first foreigners—French—started coming to this once tiny fishing village in the 1970s when it was all rough roads and no electricity. Then the Italians came. The town grew and with that growth came electricity, high-speed internet, cellphone service, good quality medical facilities, and everything else that makes a place comfortable for long-term living. Today, you can still find excellent French bakeries and Italian restaurants. And the local grocery stores are well stocked with imported (but expensive) wine, cheese, charcuterie, and more. You’ll often hear French spoken, as they are still a major expat and tourist presence. But these days, many folks from the U.S., Canada, and beyond are visiting and deciding to settle in Las Terrenas as well. All are welcome by the warm and friendly (and exuberant) local people. Las Terrenas has a vibrant active community. Access to and from town is through a well-maintained coastal highway. And there is an international airport in Santiago de Los Caballeros, which is just three hours away. Santo Domingo, the capital of the country and location of the best shopping and top medical care in the country, is just three hours away. No wonder so many middle and upper-class Dominicans come to Las Terrenas on weekends and holidays. Also important, especially to retirees, is the availability of high-quality medical care at a major hospital and large clinic in town. A second hospital is set to open soon. Specialist doctors and emergency services are available. For very serious cases, many expats go to Santiago de Los Caballeros to the west and Santo Domingo to the south where the largest and best hospitals in the country are located. Santo Domingo is primarily known for having great cardiac care. 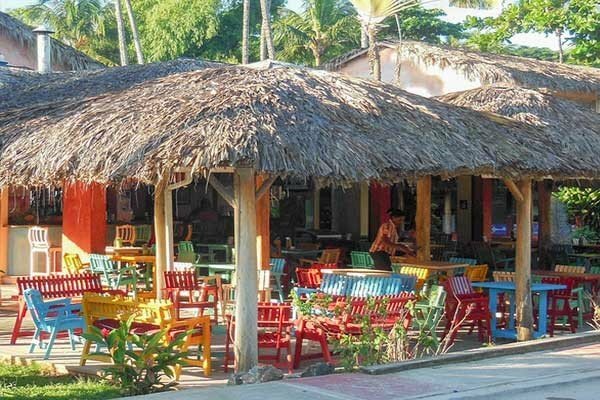 Despite its growth and growing popularity, Las Terrenas still retains its funky vibe. This is the type of place where no shirt, no shoes…no problem goes at local restaurants. You can enjoy a cold Presidente (the national beer) with your toes in the sand…dance the night away to the sounds of the local Latin music style, bachata…and still get the daily catch from fisherman who head out each morning—just $3 dollars for a pound of mahi-mahi at the co-op right on the beach in the heart of town. There are no big resorts or hotel towers here. Just forest-covered mountains cascading down to the water, fronted by a low-slung skyline of ramshackle beach huts, brightly colored restaurants, modern condos, and beachfront homes. It’s a walkable town, although many expats do get an ATV or motor scooter to get around. If you plan to do many out of town trips, to Santo Domingo or elsewhere in the country, a car would be useful. It’s quite possible to be sipping strong Italian espresso while enjoying a buttery French croissant…all while watching palm trees swaying in the breeze and the azure Caribbean waters beyond them. For a bit of local flair join the locals playing dominoes and drinking cuba libre (rum and coke) at a storefront, or the beachfront park. For real estate, there is a mix of homes and condos, most on the beach or a quick walk away. You can also walk to shops, restaurants, and anything you might need. And prices are reasonable for a Caribbean beach destination. A one-bedroom condo, furnished, in a beachfront gated community with common pool and 24-hour security is listed at $130,000. Another condo, two-bedroom, that is walking distance to the beach is available for $89,250. It has a community pool. For a villa, prices are higher but still well within reach. A three-bedroom home, a short walk to the beach, with private pool and a half-acre of land, is on the market for $225,000. As far as cost of living, a typical retired couple can live well on $2,500 a month. You’ll find plenty of cheap fruits and vegetables at the local markets. For imported items, or “boxed” foods you’ll pay about the same as the U.S., although sometimes slightly more or slightly less, depending on the specific product. Dinners out are affordable at $6 and up a plate. And with beers at $3 and happy hour mojitos (try the one made with chinola, the local variety of passionfruit) the same price…you can’t beat that for a nice night out. If you want to try before you buy and experience life in Las Terrenas before you commit, renting is a great idea. And with two-bedroom condos available for $500 and up per month, is quite easy to do so.